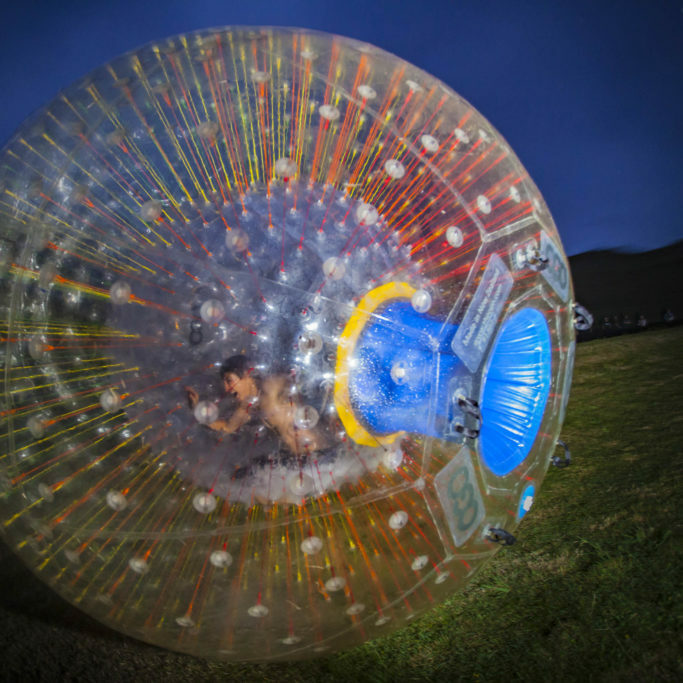 Ever wanted to roll down a hill in giant inflatable ball? Now, how about in the dark? Experience the thrill of our iconic Rotorua invention on a whole other level… Glow in the dark OGOs, toasty warm hot tubs, delicious food and an electric atmosphere. Available for one night only to celebrate the shortest day and longest night of the year. Limited ticket sales available for this one night only event – Click here to book your spot now! OGLOW Packages – One time only! Got a group of friends or workmates you want to bring along? Send an email to:events@ogo.co.nz for a special group deal! All rides are H2OGO (with water) rides, don’t worry it’s warm water inside! Please ensure you arrive and are checked in at the correct time, failure to do so could result you having to wait for next available time slot. OGO Rotorua standard operating procedures apply, if a ride isn’t available your ride will be substituted for an alternative on the evening. In the event of extreme weather the event will be postponed until Friday 22 June 2018. Should we be unable to fulfill your evening rides due to extreme weather, your rides will be transferred to daytime OGO rides for redemption during our normal daytime operating hours up until 30 September 2018. All tickets purchased are non- refundable and cannot be cancelled within 7 days of the event. OGO is an adventure activity in which 1, 2 or 3 people are stuffed into a large transparent inflatable ball which is then pushed down a hill, water is then added (cool in the summer and warm in the winter) to create a crazy slide of slippery, screaming goodness. OGO Straight Track – 250m: Race your mum, your mates or your arch-enemy down the 250m long straight tracks for maximum speed and bragging rights (loser buys lunch). OGO Sidewinder Track- 350m: 6 massive corners combined with the longest zig -zag track in the land to blow your mind like a cross between a roller-coaster and a waterfall.